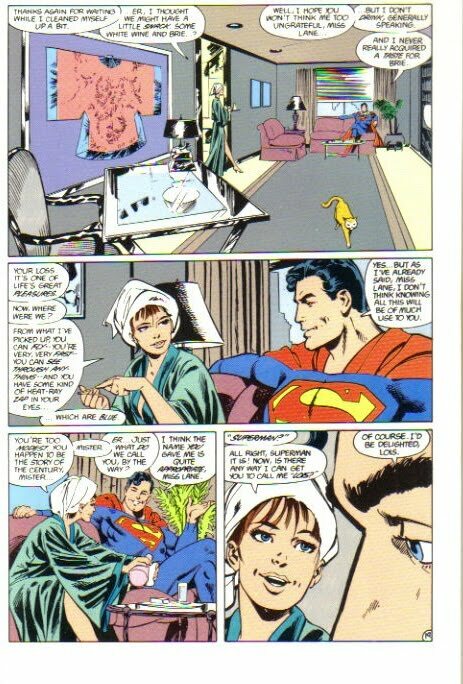 Despite his own legendary status, British artist/writer John Byrne was all-too aware of the responsibility of revamping Superman’s origin story to the point where he likened the assignment to being handed the bible and told to ‘fix this‘. In 1986, however, fixing was exactly what it needed. 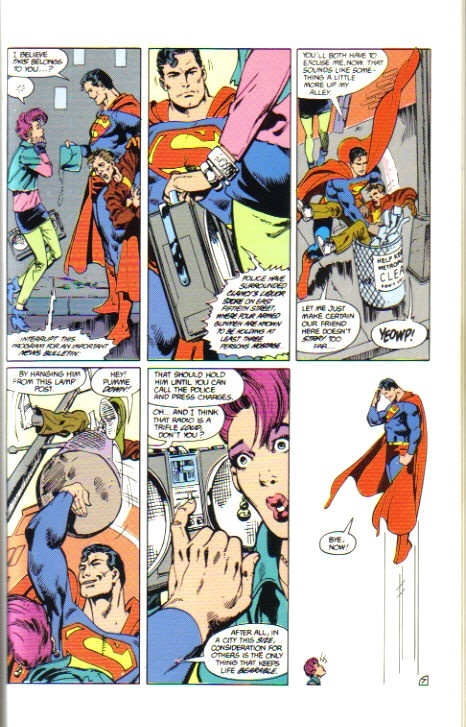 By the late 1980’s comic audiences had grown more sophisticated and though he’d entertained solidly for almost fifty years, Superman was starting to show his age. Once again it seems ironic that the Man of Tomorrow’s four-color regeneration would borrow so heavily from its cinematic adaptation first screened almost a decade before. Indeed, questionable appearance from Batman notwithstanding, structure-wise at least the six-part Man Of Steel series could easily pass for another draft of Superman:The Movie. Far from denying the film’s influence, however, Byrne openly embraces it by rendering his hero in the likeness of the film’s star. 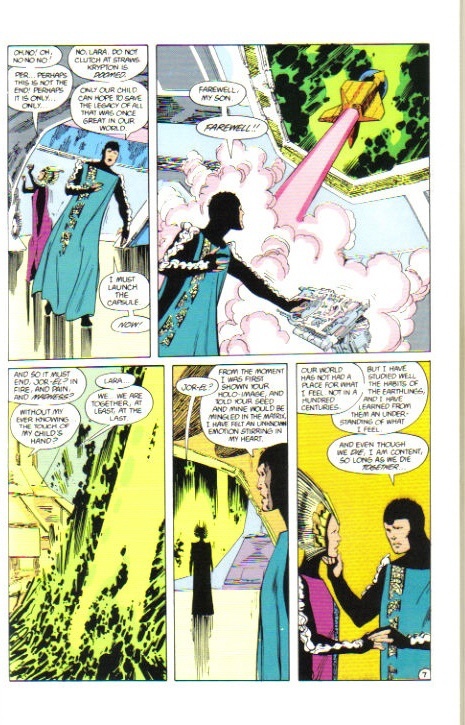 Among these beautifully crafted pages there are re-tellings of both Krypton and Smallville segments at once touching and economical by ousting any mention of SuperBoy and allowing the Kents to survive as a continuing (and necessary) influence. These, among other narrative touches (like the feisty character of Lois Lane and the introduction of Lex Luthor as a corporate vulture) in turn clearly had an impact on the producers of Lois & Clark where they were retained as such for television. The movie sequels are acknowledged too with Byrne showing us in Part 5 what Superman III could/should have been in considerable epic style. 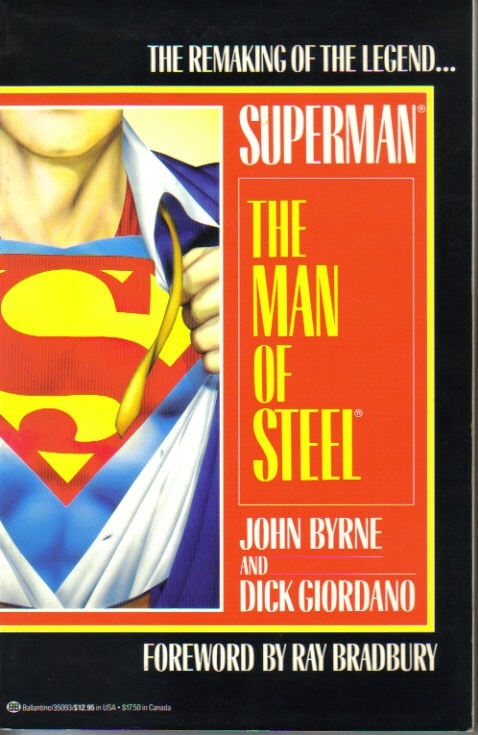 From the top, select examples of John Byrne’s Man of Steel mini-series paying clear tributes to the the Donnerverse, second in a series of recommended reading trade paperbacks for fans of the Movies. Comments welcome..!